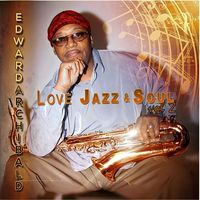 Edward Archibald is a Jazz saxophonist with over 30 years of experience. His musical roots are a mixed bag of Jazz, Rhythm and Blues, Country and Classical music, which gives his sound a truly unique flavor. Edward has had the privilege of playing along side Chaka Khan and as the solo opening act for Kem in 2009. He has performed on the same stage as Marcus Johnson, Everett Harp, and Nelson Rangell and has also had the honor to be the opening act for the legendary Al Green.